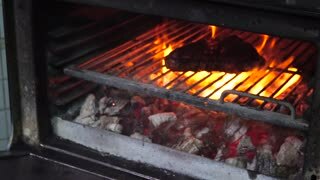 Cooking grilled steak ribeye in the oven with broiler. 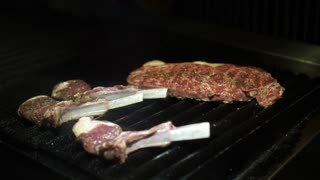 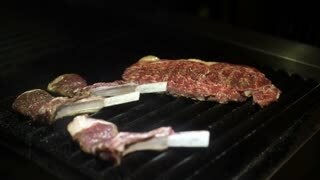 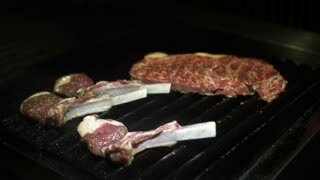 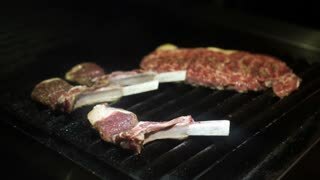 View from above of two beef marbled steaks on grill rack. 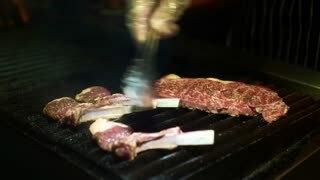 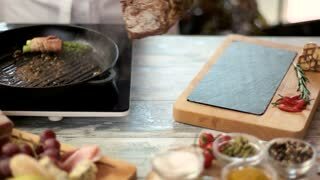 Chef using paper towel to dry off each steak before grilling. 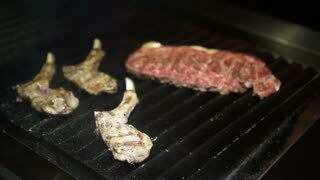 Steak on grill pan. 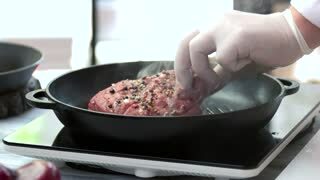 Hand of chef flipping meat. 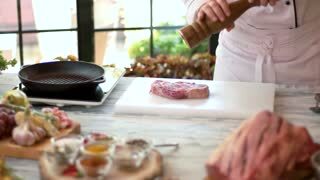 Best recipe of beef.